It seems that on the eve (15 Feb 2018) of this lunar new year, a partial solar eclipse will be visible in southern South America, including many locations in Argentina, Chile, Paraguay, and Uruguay, and in Antarctica. The eclipse will also be visible from some areas of the Atlantic and Pacific Oceans. They say that merits multiply on such days. Please put a remark on the comment field that it is for the 19th Annual Tara Pujas by Sakya Nunnery. We wish you a very happy and prosperous and fruitful period ahead. The 18th Annual 100,000 Tara praises / pujas were brought forward to 19 Feb 2017 due to preparation for the enthronement of the 42th Sakya Trizin, His Holiness Ratna Vajra Rinpoche. 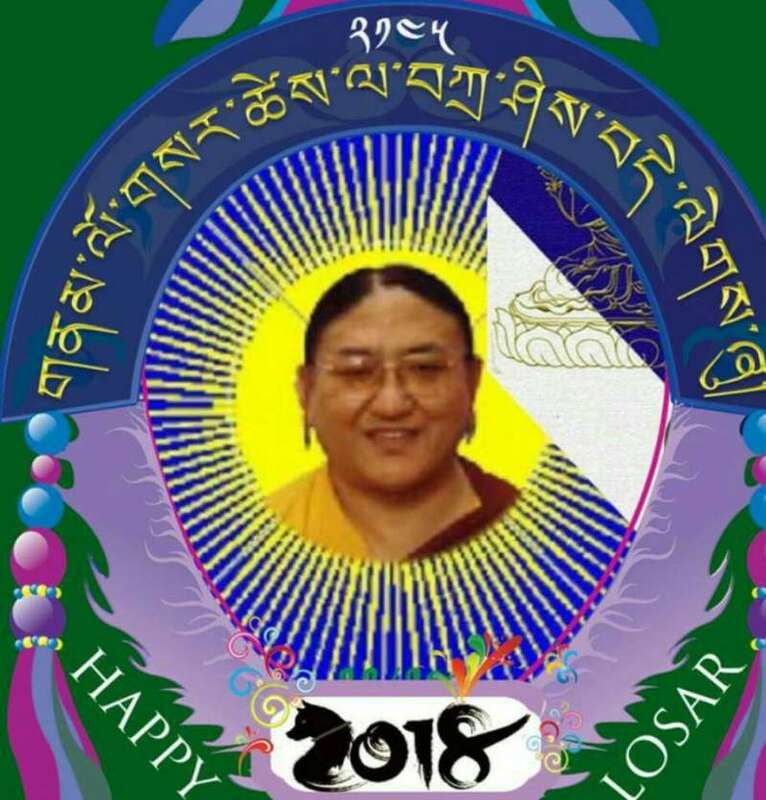 Happy LOSAR 2016! May all beings be joyous! Our nuns at the Vajrayogini Centre for Meditation, Kathmandu, experienced two earthquakes (March and June 2015) of relatively massive scale. Their premises was quite badly affected after the second earthquake. While restorations were going on, all the nuns (80 of them) left for Kalimpong, India to receive the Lamdre teachings. At Sakya Thrinley Choling (nunnery for young nuns), Leh-Ladakh, the young nuns were blessed with a visit by His Holiness 41st Sakya Trizin in July 2015. They were overjoyed by his presence. At the main nunnery, Sakya Rinchen Choling at Dekyiling, the nuns were kept busy with all the Tara Pujas and other requests and daily practices and performing prayers for H.E. Luding Khenchen’s (senior) 85th birthday celebrations. 40 nuns from here went to Kalimpong to receive the Lamdre. Together with nuns from Sakya College for Nuns, the nuns from all the three nunneries also attended the 24th Annual Sakya Monlam in Lumbini in December 2015, to pray for world peace and harmony. 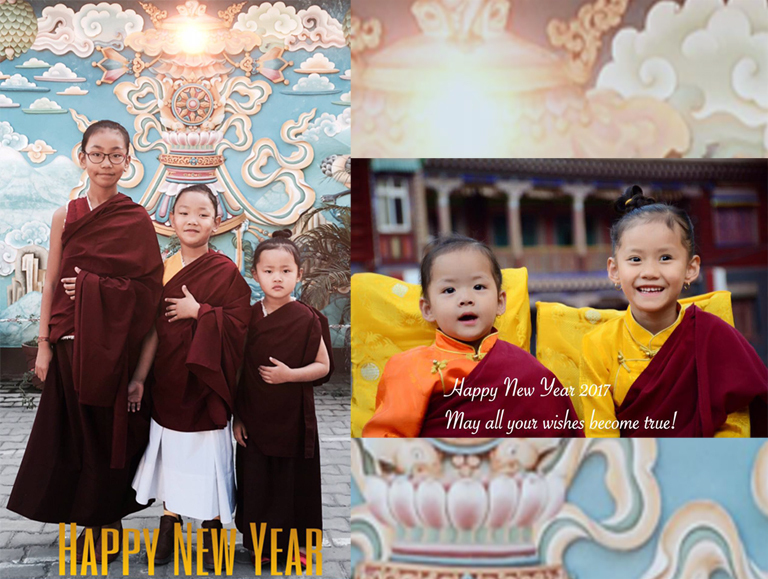 Tiibetan Losar 2016 falls on 9 Feb. Our nuns at the main nunnery will observe the fasting rituals (Nyung-Ney) before that. During the last week of Losar (6 March 2016), they will perform the 17th Annual 100, 000 Tara Pujas / Praises for physical, mental and spiritual well-being of all beings. We hope you can join us once again for the first cycle of this annual 100, 000 Tara Pujas. May all be very well and happy!